Lemax Holiday Hamlet Christmas Shoppe Sights & Sounds musical table piece depicts an illuminated and animated toy store at Christmas time, with stunning window displays. Angels & Birds revolve above the store rooftop to delight the town folk from afar whilst a moving Santa & Reindeer rotates inside and out of the second story. A vocal and musical soundtrack entices customers to come and visit the store, whilst external and internal lights offer a real welcome during the daytime or at night. Lemax Holiday Hamlet Christmas Shoppe is an illuminated building , suitable for placement in and amongst a seasonal Lemax village Christmas scene. A unique Lemax Caddington Village themed collectable table piece which joined the Lemax collection in 2016. 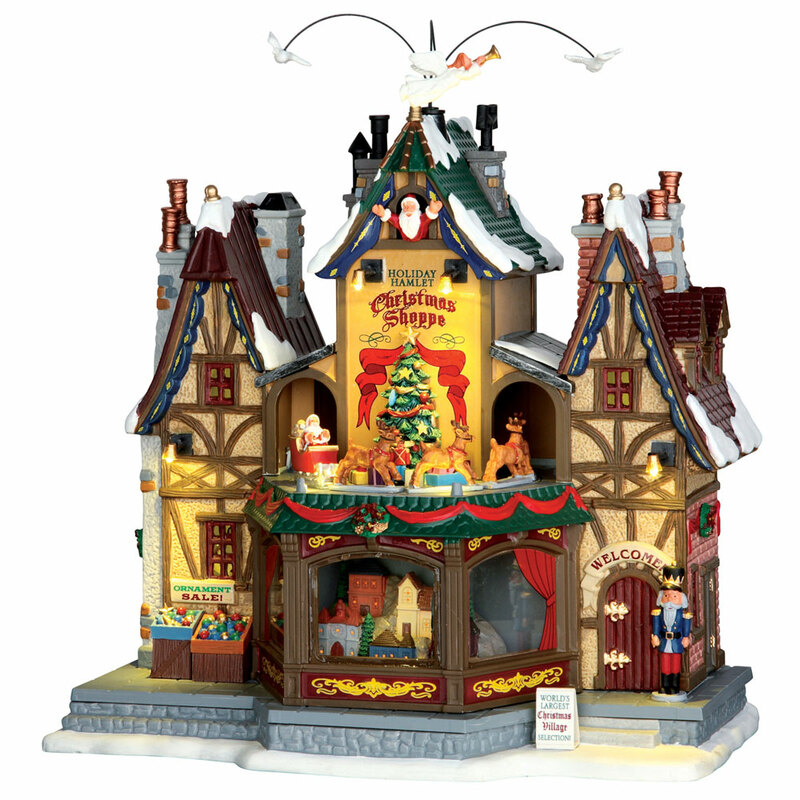 Holiday Hamlet Christmas Shoppe offers a delightful self standing porcelain building on an individual street base to compliment your seasonal Lemax Village.